Welcome to the FREE Obsessive-Compulsive Disorder chat area. 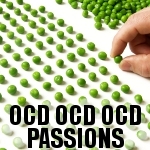 The chatroom is one of the many completely free features available within OCD OCD OCD Passions. Please note that you will need to be a registered member of OCD OCD OCD Passions in order to use the chatroom, but once you have done that, you will also have 100% FREE access to photo personals, email, instant messaging, blogs, OCD forums and more.